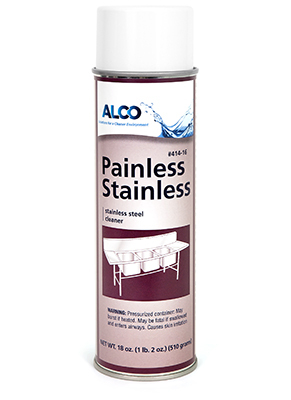 Painless Stainless - Alco-Chem, Inc. Aerosol stainless steel cleaner that protects and polishes in one operation. Restores original luster to oxidized metal surfaces. Waterbase formula that eliminates oil residue.